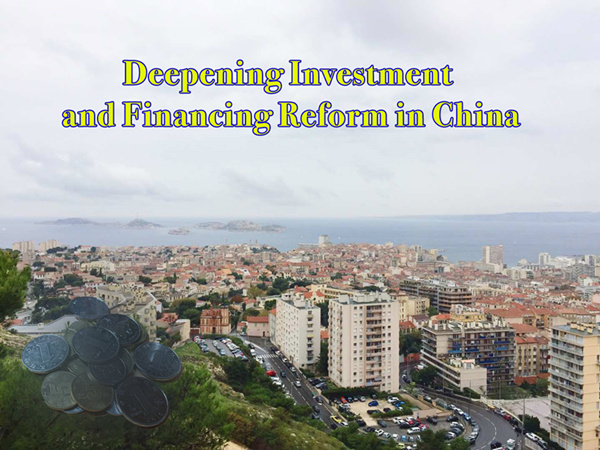 To deepen the investment and financing institutional reform, it is necessary to focus on the major issues while fulfilling relevant policy arrangements in view of the economic and institutional transformation. To this end, we need to set a reasonable growth target, formulate and release a high-quality growth target system and moderate the rigid economic growth targets so as to stabilize market sentiments. Accountabilities of different market entities need to be strictly distinguished and the incentive and restriction mechanisms for assorted entities and platforms need to be straightened up. With differentiated responsibilities relating to investment aggregate, economic growth and political tasks and in view of different characteristics of different entity platforms, a reasonable incentive and restriction mechanism will stimulate the vigor of market entities. It is also necessary to delineate the fiscal and financial functions and design different types of investment and financing mechanisms in a bid to promote an open-oriented financial competition. The transitional institutional arrangements need to be made clear and based on scientific formulation and implementation. China’s investment and financing reform is facing some thorny issues. For instance, it is tough and expensive to access investment and financing for companies. First, infrastructure and governmental programs face great difficulty in financing. 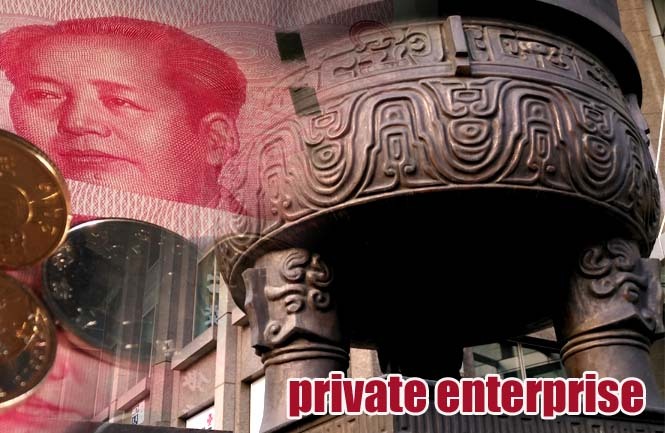 Second, financing difficulty is seen in the market-based industry and service sectors, especially among private enterprises. To be noted, even the listed enterprises with financing channels are also facing the same problem. Third, the medium, small and micro enterprises are still unable to access loans. Fourth, the capital cost for companies is relatively high, which has made financing become quite costly. Fifth, investment difficulty has become a common issue in different sectors. The thorny issues relating to China’s current investment and financing reform boil down to some deep-seated reasons. First, financing difficulty is one of the salient features during the economic transformation period. It is reasonable but beyond people’s expectations, and relevant supporting measures are required. During the economic transformation period, the economic growth needs to be shifted to a new model from the old one, with significant changes in both drivers and structures. Second, the existing investment and financing system cannot meet the demand for high-quality growth in the new era. Third, due to the large gap between the ideal model and the actual operations, a swift transformation will bring about “discomfort” and “austerity”. Added to the problems are the difficulties in deepening China’s investment and financing mechanism reform. First, the major difficulty is to set a proper goal for the investment and financing institutional reform based on the prerequisite of achieving a balance between a reasonable growth rate and a latent decrease of economic growth in the transformation period. Second, the functions of fiscal system, finance and enterprises are overlapped and mismatched, and the financial functions are not properly developed. Third, the incentive and restriction tolerance mechanism is one of the core issues, but they are now generally inconsistently designed. Fourth, policy-making and implementation is a tricky art. The following policy options are made for China’s further investment and financing institutional reform. With regard to the orientation and focus of the reform, we need to deepen the investment and financing institutional reform. It is necessary for us to address the fundamental issues while responding to the current policy demand in the course of the economic and institutional transformation. As mentioned above, we need to set a reasonable growth target to stabilize market sentiments, formulate and release a high-quality growth target system and moderate the economic growth targets. Accountabilities of different market entities need to be strictly distinguished and the incentive and restriction mechanisms for assorted entities and platforms need to be straightened up. With differentiated responsibilities in investment, economy and politics and specific policy design in light of the characteristics of different entities, the reasonable incentive and restriction mechanism will stimulate the vigor of market entities. It is necessary to delineate the fiscal and financial functions and design different types of investment and financing mechanisms in a bid to promote the open-oriented financial competition. The transitional institutional arrangements need to be shored up by scientific formulation and implementation. First, we need to reduce taxes and fees to hold up market sentiments and maintain market vigor so as to pave the way for economic transformation. Second, we need to enhance the fiscal fund utilization efficiency, and balance the financing ability and fiscal expense responsibilities between the central and local governments. Third, we need to make sound transitional arrangements for the institutional transformation and clarify the policies for projects that are under construction or expansion. Fourth, we need to make proactive response to the risks of equity pledge and the credit bond market. Fifth, we need to explore a financing model that could truly meet the needs of enterprises. In addition, the local governments and state-owned enterprises need to confirm their payable accounts and notes. The registration of property rights needs to be promoted in a unified manner and the development of Internet of Things needs to be boosted. The Credit Guidelines need to be revised at an early date to allow banks and other financial institutions to explore the financing model suitable for corporate needs, and efforts need to be made to avoid the mismatch between the loan duration and fund demand. A higher tolerance limit of non-performing loans is necessary on the part of micro, small and medium-sized companies, and the principle of relieving accountability when the duty is fulfilled could be implemented in loan issuance. Besides, our present work needs to focus on accelerating the construction and sound operation of a policy-based financing guarantee mechanism.